A lot of things have changed in the hosting market, which means that you will need to choose your dedicated server location very carefully. When thinking over a dedicated server location, there are many things to consider including latency and access speed. We will outline major factors that will help you pick up the right dedicated server hosting solution. The first thing you need to consider when choosing a dedicated server location is low dormancy and quick access. It’s desirable to choose a dedicated server that is located in the same country or continent as your target audience. This will ensure that your web pages or applications are delivered quickly because of low dormancy. It generally takes more time for a packet of data to travel from one country to another than when sending the same packet within a single country. And, a quick website or application loading time will engage your end users more effectively and their overall experience will be much more satisfying. Moreover, website loading time affects SEO as well. Secondly, when choosing a dedicated server location you need to make sure that it is located close to the best transit providers. This helps to ensure improved routes for global network traffic. When a server is located in a connected location the time taken will be a few milliseconds less than when the server is located far from a connected location. Another factor that you need to take into consideration when choosing a dedicated server location is that there may be some legal requirements for data to reside in particular countries. This means that you need to choose a location that complies with legal terms and conditions. Yet another factor that you need to take into account when choosing dedicated server locations is that you should not choose a location that is prone to natural calamities like flooding and snowstorms or cyclones, and the like. A natural calamity can make the data center inoperable and this may cause many undesirable cases. Therefore, it makes sense to choose a dedicated server location that is safe and resistant to natural calamities. 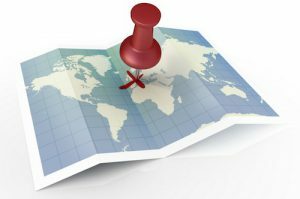 If your dedicated server location is the same as your target audience then this has many interesting benefits like improved local ranking with the major search engines. When a server is located in the same country or continent as your target audience it means that the websites will load faster compared to the competition and this will improve overall user experience. In the case of Forex trading, for example. or other Internet-based financial or share trading even a millisecond difference may result in hundreds or thousands of dollars earned or lost – depending on whether the connection was fast or slow. The bottomline is that when opting for a dedicated server you need to choose a location that is in the same country or continent as your target audience. If the server is located close to you then the benefits are immense. Choosing a location like Denver, Chicago, London or Singapore can prove to be very beneficial if you are living in the US, UK or South East Asia respectively. With dedicated server hosting there are many benefits to be enjoyed like greater reliability as well as flexibility. More importantly, it ensures greater security as well as higher website performance.